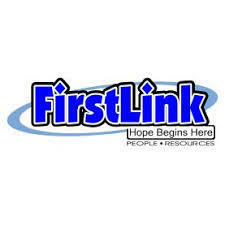 Tuesday, April 2, 2019 – FirstLink assists people to identify, access, and make effective use of community and volunteer resources. And while it’s best known for the 211 hotline, it also provides other services. One example is an upcoming course on Mental Health First Aid. Here to discuss that opportunity, and to tell us more about FirstLink, is Ashley Ladbury Hrichena. ~~~ Parents have many hopes and fears for their children. Health and happiness are near the top of many lists. For Loah Clement, that health and happiness is not tied to things. She visited the visited the StoryCorps mobile booth this past July with her son Jason where they shared their fears about the current political climate and the future of the environment. ~~~ With North Dakota still coming to grips with the issues surrounding medical marijuana, we visit with Max Simon, of Green Flower. He founded the organization with the idea of gathering the world’s most trusted cannabis knowledge to make it available in one place. He joins us to discuss both the legitimate concerns, and the unrealistic fears.